WHAT ARE THE OBJECTIVES OF CAT@LYST? The applicant must be a Filipino citizen, 18-30 years old. Proposals may be submitted by individuals or a representative of an organization, company, or community. 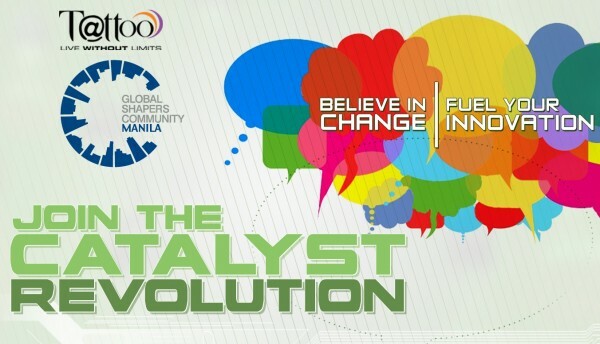 The applicant must be available to attend the development forum, Shapers Lab, on Saturday, June 22, 2013 at the ADB Headquarters in Ortigas, Metro Manila. Financial assistance for transportation and accommodations will be provided for non-NCR based participants. The proposal should not have won in other business plan or project grant competitions of the same magnitude (national, regional, provincial or district), or have received the same amount of funding for its implementation.Proposals may be submitted by individuals or representatives of an organization, company, or community. A completed application form downloaded from the GLOBE Catalyst website (click here to download application form). What existing problem in your community do you want to solve? What is your proposed ICT-based solution? What kind of impact do you hope to make through your project? Photo/s showing the community you want to help and empower. You may also include links to news articles, videos, or blog entries about the community and/or your project, if already existing. Save your files under the same name format. Incomplete submissions will be disqualified and will merit no further feedback. The project will award five (5) winners.